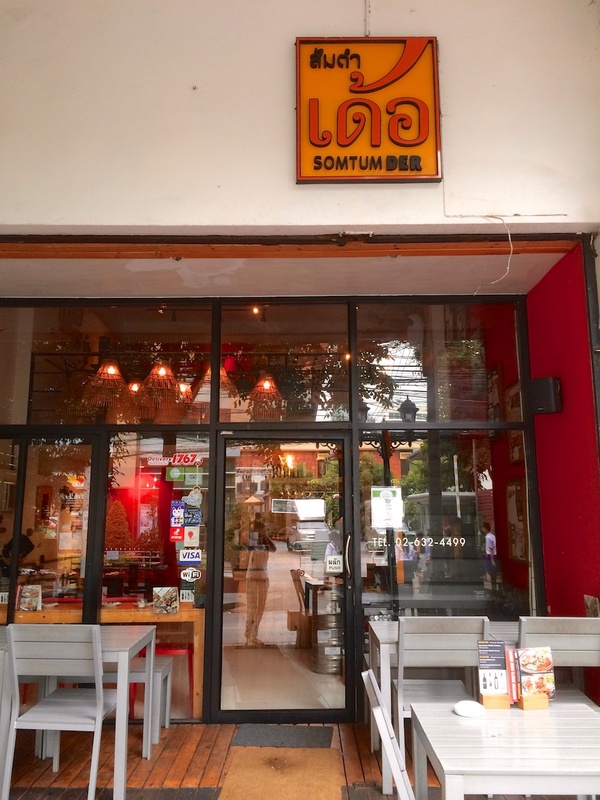 Somtum Der serves up delicious food from the region of Isaan, located Northeastern of Bangkok. 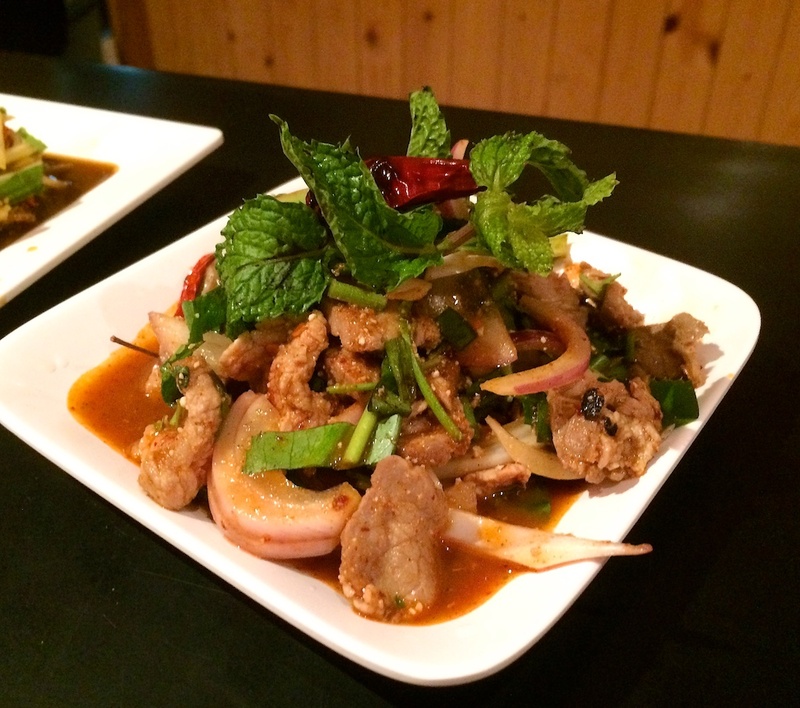 When compared to the sweeter palate of Bangkok, Isaan regional food offers a stronger and more savory flavor. 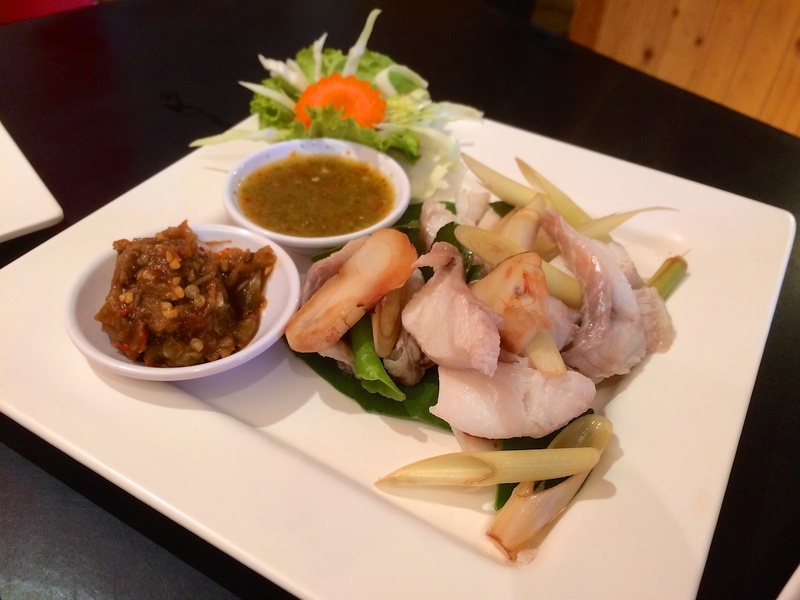 Everything here are served on small plates so it’s encouraged to share among everyone at your table. Family style! This has to be one of my favorite restaurants in Bangkok. I’ve been to this restaurant about 5 times in a 2 week span so you know that I’m not lying about how good it is. Although this restaurant’s food is on the spicier side — like sweat dripping down the temples of my face spicy — there are plenty westerners/foreigners here. Therefore, it’s safe to assume that if you are spice sensitive, you can still get to enjoy this amazing place. 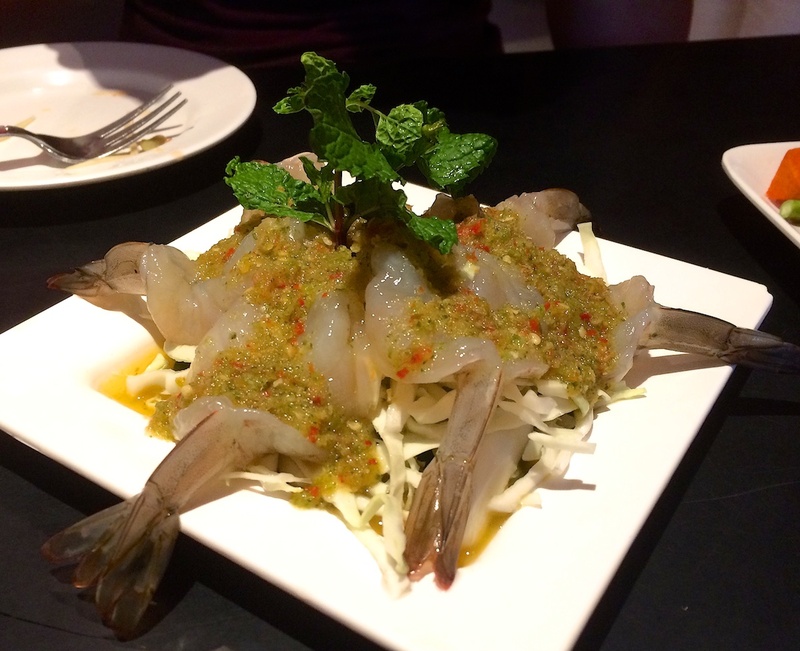 Thai Prawn Sashimi with House Special Green Chili Sauce: The sauce is out of this world! 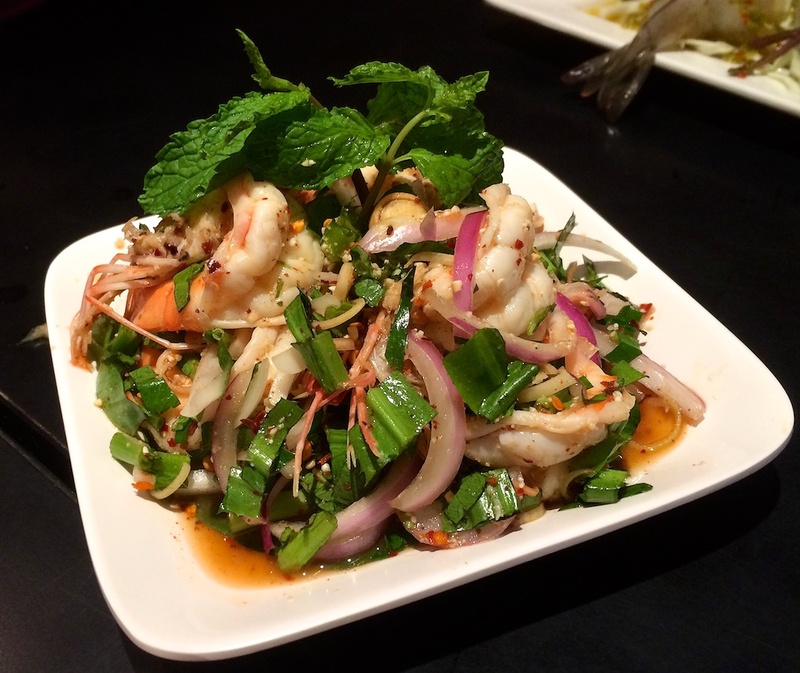 It’s citrusy, spicy, and goes so well with the raw prawns. Tip: You can ask for the sauce to be on the side because it’s dangerously spicy, but crazily addicting and mouth-watering. 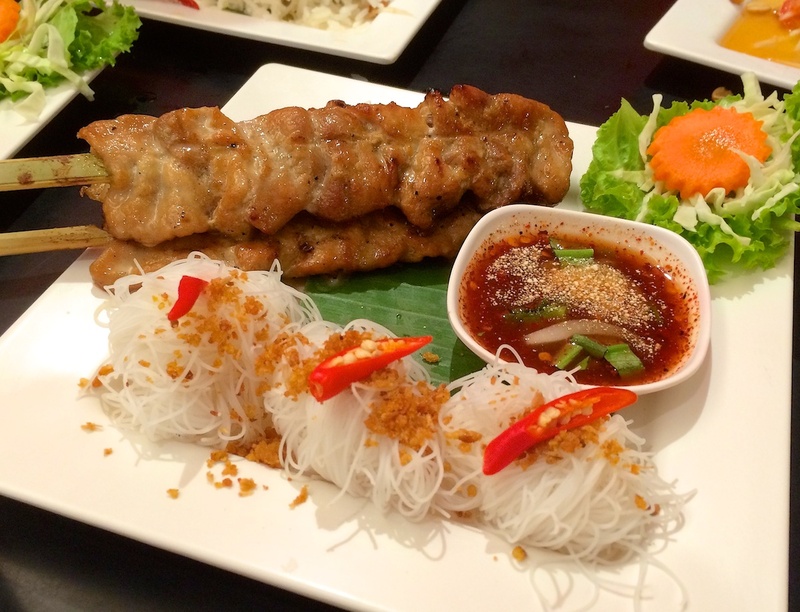 Grilled Coconut Milk Marinated Pork Skewers: You can really taste the sweetness from the coconut milk infused into the tender and fatty pork. 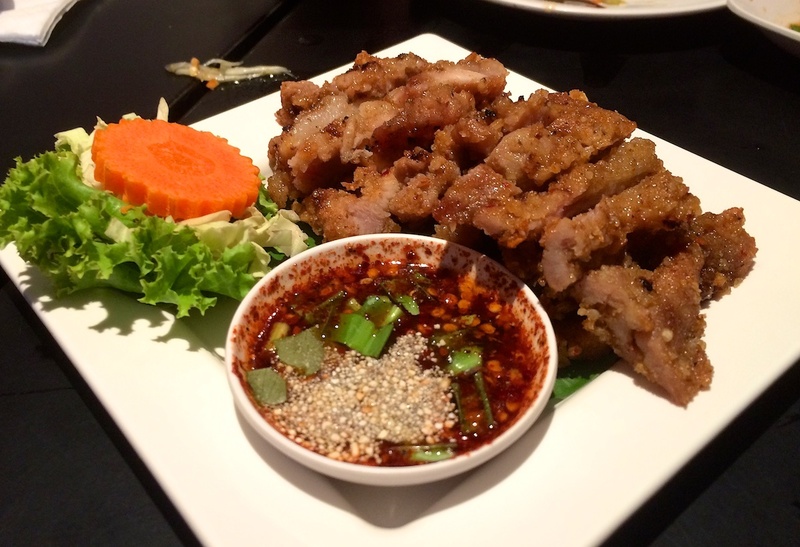 It’s served with a side of red chili dipping sauce, however, they marinated the pork so well that I don’t even dip the pork in it because I want to savor the coconut essence. 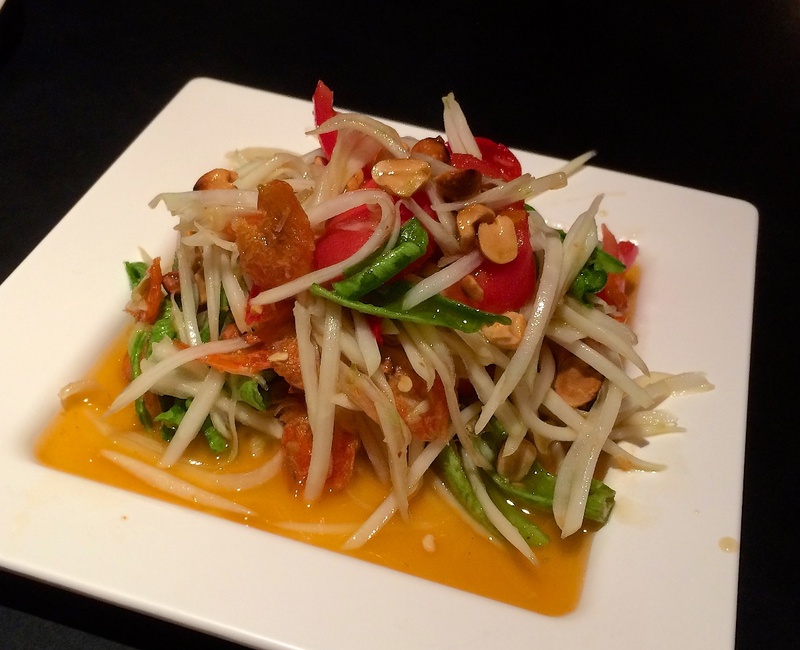 Tum Thai Papaya Salad: This is the original-styled and it’s the best. 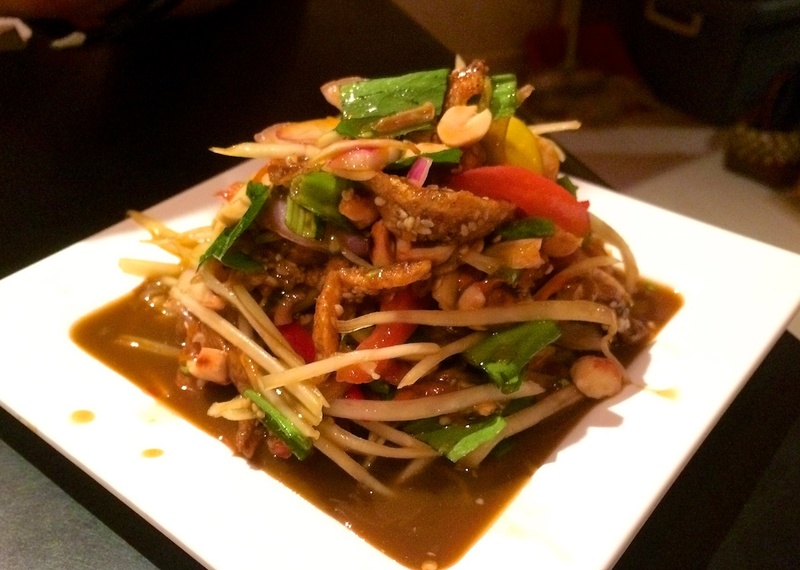 The papaya is crisp, the tomatoes are juicy, the dried shrimps are potent, and the sauce has the perfect amount of sweetness and tanginess. 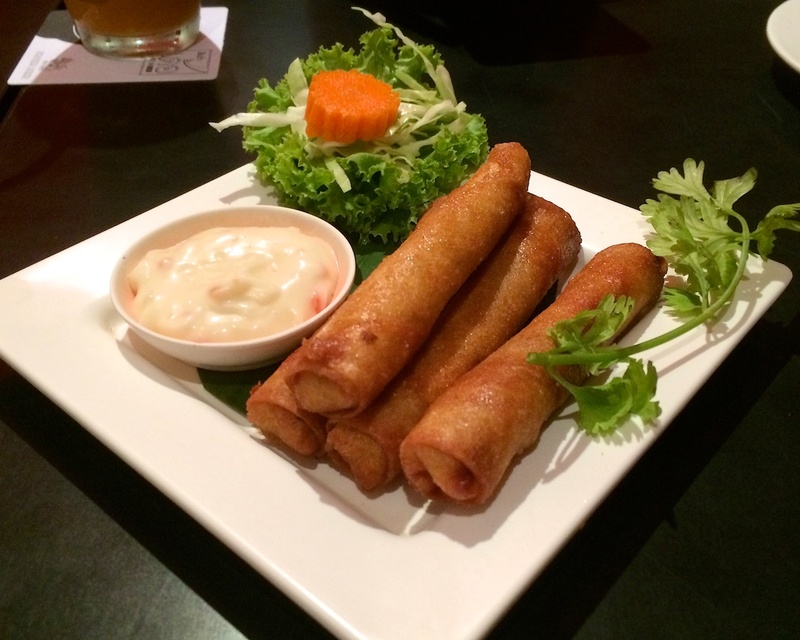 Deep-Fried Spicy Pork Spring Roll: Who can say no to this? 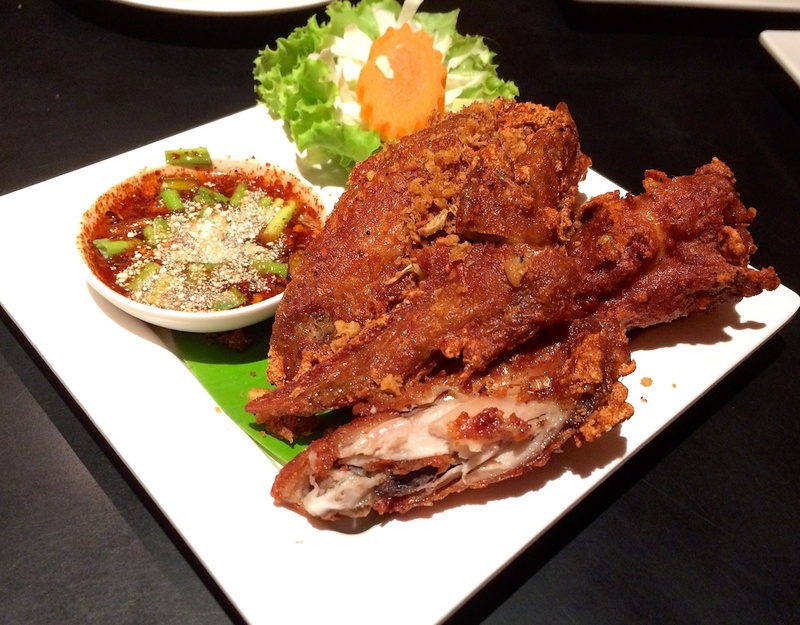 It’s crunchy and savory and comes with a mayo-like dipping sauce which is a good balance to the other spicy dishes.